Ginger bread is a staple at most Christmas celebrations. It smells wonderful and it truly sets the tone for a magical and heart-warming Christmas day. If you are on the prowl for a ginger bread recipe, here is one that you and your family can try to make this year. Before you begin, preheat your oven to 350 degrees F or 175 degrees C. You can use butter, oil or margarine to grease a 9 inch square pan. Flour it as well afterwards. Cream the sugar and butter in a bowl. Throw the egg in the mixture and add the molasses as well. Grab another bowl and mix the flour, cloves, baking soda, ginger, cinnamon, and salt together. Combine this with the mixture of molasses, sugar, butter and egg. Pour the hot water in. Pour the entire mixture into the 9 inch square pan. Allow to sit in the oven for 60 minutes. To check if the ginger bread is ready, use a knife to check the centre of the ginger bread. Let it cool prior to serving. Of course, there are many other ginger bread recipes that you can try. You can also get creative by using cookie cutters so that there are different molds for your ginger bread. Pick up different colours of frosting as well so that you can make colourful pieces. This is a very fun activity that you can participate in with your kids or nieces and nephews. You can even engage in the activity yourself to help pass the time. 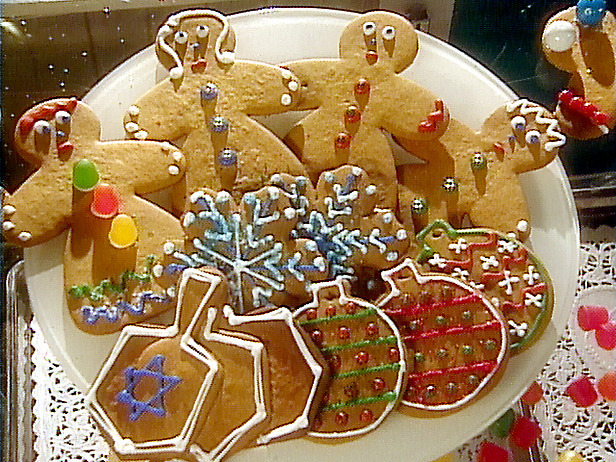 Ginger bread has been enjoyed in Europe and in the United States for hundreds of years. It can be made into cookies or cakes.